Get ready to save up your daylight, Manitoba. Clocks go forward one hour on Sunday, March 10, as daylight saving time begins. Get ready to save up your daylight, Manitoba. Clocks go forward one hour on Sunday, March 10 as daylight saving time begins. The official time change to daylight time occurs at 2 a.m. Sunday — that's when clocks should be set forward to 3 a.m. This also means it's time for the annual daylight saving debate — this year, centred on B.C., which is considering ditching the time change so it can remain on the same time as California. Along with Washington and Oregon, the northwest U.S. states are working on legislation to stop the switch. The European Union is considering it too. Saskatchewan, meanwhile — the only province that follows central standard time (CST) year-round — will go out of sync with Manitoba on Sunday. While in the winter Saskatchewan and Manitoba share a time zone, in the summer Saskatchewan is an hour behind, lining up with mountain daylight time. 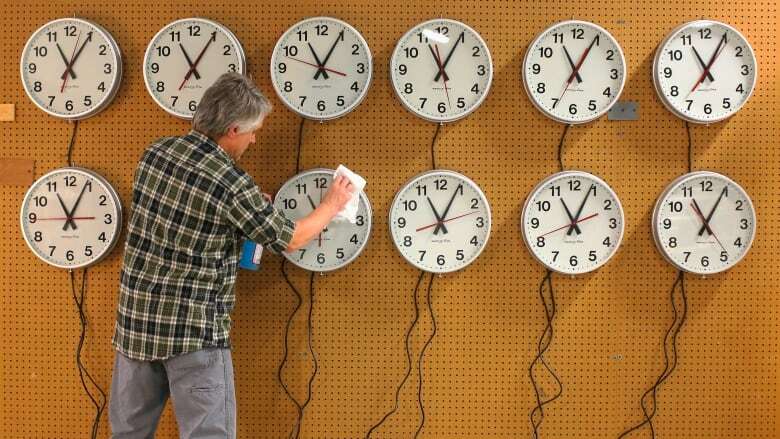 There are also some individual communities in B.C., northwestern Ontario, Quebec and Nunavut that shun daylight time, as well as some medical research to support their position, including reports of upticks in heart attacks, strokes and suicides after the switch. However, some reports say assaults and robberies decline the day after springing forward. Manitoba Public Insurance noted an increase in crashes on the Monday after the annual time change in 2015, but city traffic data doesn't support the idea that it causes more crashes. Emerson MLA Cliff Graydon is campaigning to eliminate daylight saving time in Manitoba, but after being ousted from the Tory caucus, it's unlikely his private member's bill will be supported. Regardless of your position on the change, a Winnipeg sleep researcher (who believes the change is overall a positive) says Sunday's switch is a good chance to check your "sleep battery." "We really need to make it a much better priority," said Dr. Diana McMillan, a sleep consultant and associate professor at the Rady Faculty of Health Sciences College of Nursing at the University of Manitoba, after last spring's switchover. "So hopefully people will take the time when we have a clock change to say, 'OK, if this little shift has me a bit off kilter, how much better could I feel if I regularly try to promote optimal sleep for myself?'" The City of Winnipeg is also reminding people to check their smoke alarm batteries while you're changing your clocks over.